I am ridiculous. Every morning I try to make time before work to read the daily blog posts that jump into my mailbox. When I got to Dana‘s from CereusArt I was surprised. I did not know that you could nominate blogs for an award. I thought, “How cool is that?” I continued reading through her nomination down to the list of sites that Dana recommended. I clicked one at a time and looked at all the ideas each person had. I thought, “I need to get out more and visit other blogs”. I have to apologize for not getting to the last two on her list because I was third from the bottom. I had to click on it to make sure. Thank you Dana for nominating SideCapers. I always look forward to your posts; you have beautiful pictures and great nautical gift ideas. You encourage others with tools of information and opportunity. 2. Paste the award image on your blog. 4. 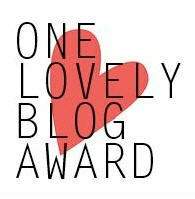 Nominate 15 other blogs that you would like to give the award to. 5. Contact the bloggers that you have chosen and let them know about the award. My favorite sites so far; each with their own special reasons. Unfortunately I do not have 15 yet. I promise to change that in the future. 1. I started blogging for the first time at the beginning of this year. Blogging can be so intimidating in the beginning. 2. My home in Southeastern Wisconsin in the city of West Bend. 3. I drive a 2002 Red Mini Cooper; I love that car. 4. In my opinion, cats are the best pet. My two follow me everywhere and help me with my projects. 5. Gardening is my second love. On our city lot there is little to no grass. It is all flowers and paths. 6. This year I am resolved to make more personal time to take care of myself. 7. Last, but always first on my mind is my husband and my relationship with Jesus. This has been a wonderful experience. I think english teachers should assign this somehow in class.Thank you again to Dana at CereusArt for the award, what an unexpected surprise. This entry was posted in Awards, Main Page and tagged awards, macrame purse. Bookmark the permalink. Congratulations! You have a wonderful blog – I would have never known that you started recently! Thank you again-it was a fun surprise.